I am going to have to tuck this fun idea for Linda's football candy pouches away for when the end of the year football party or even the Superbowl gets closer. These would be perfect football party favors for both! 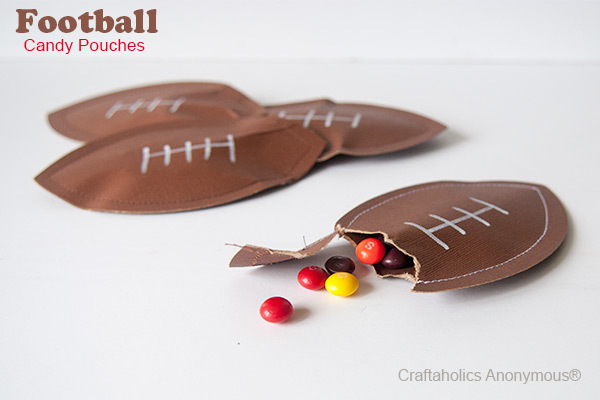 You can check out how to make football candy pouches over at Craftaholics Anonymous.